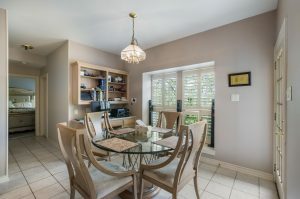 Beautiful home on a half acre corner lot in highly desired Deerfield. Recent updates include painting, new kitchen counters, new carpet upstairs. Kitchen has plenty of prep space and tons of cabinets. Master bath has double vanity, beautiful tile, garden tub and a separate shower. Large flex room. Living room has the perfect layout for entertaining. Expansive deck and a tranquil pool with a waterfall surrounded by an oasis of trees will feel like you are on vacation year round. Schedule your showing today!! 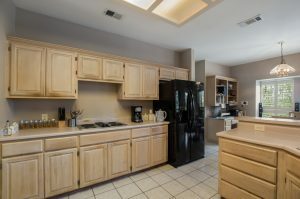 If entertaining is your forte, there is no better place to do this then from the kitchen in this amazing San Antonio TX home. With stainless steel appliances, tons of cabinet spaces, and ample counter space you will love cooking here! The vast amount of space and open floor plan makes bringing friends together so easy. 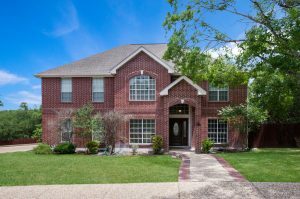 11418 Fawn Hvn is one of the most desirable areas in the entire San Antonio TX region. With excellent schools and a close proximity to the city. it’s an oasis just inside of the city.